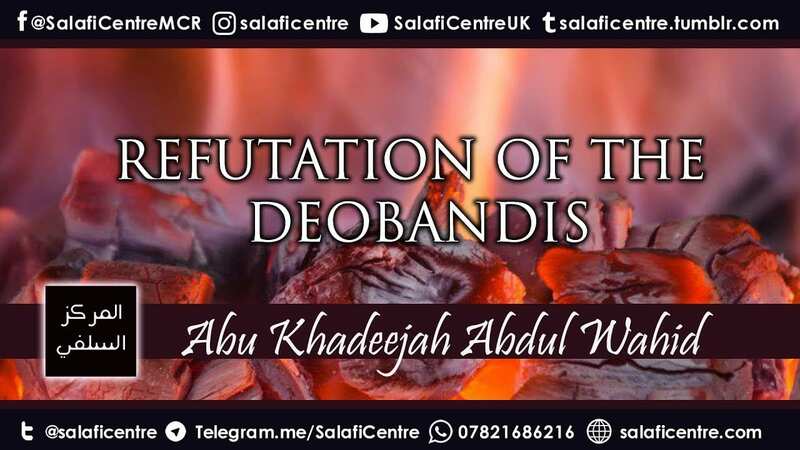 Refutation and a detailed and critical look at the ideology and methodology of the sect of the deobandis. Shaikhul Islaam Ibn Taymiyyah (rahimahullaah ) stated: “The deviant sects hold a view and then explain the (statements and words of) Qur’aan to make them conform to their view. Question: O our Shaikh, may Allah protect you! There are those who say, “Have mercy upon Salafiyyah and do not cause splits within it, [by saying that] this one is a Haddaadi, the other is such and such, the third is such and such, and so on and so forth”. So what is your advice, may Allah safeguard you? Shaikh Muhammad Bazmool: This statement opposes the hadeeth of Allah’s Messenger صلى الله عليه وسلم. For indeed, Allah’s Messenger صلى الله عليه وسلم mentioned that this ummah shall split, he mentioned that this ummah shall split. That it shall split into seventy-three sects. He said, “All of them are in the Fire except for one”. Therefore, the Messenger عليه الصلاة والسلام, he is the one who mentioned that there are sects and that all of them shall enter the fire except for one. The scholars have said concerning his statement, “all of them shall enter the fire except for one”, that this is a text of al-wa’eed [threatening with punishment]. Meaning, this is the punishment [they will receive] if Allah wills to punish them. Otherwise, they are under the will of Allah. If he so wills [to forgive them] he will forgive them, and if he wills [to punish them] he will punish them. So therefore, the Messenger mentioned that there are in fact sects and that they reach the amount of seventy-three sects and that it is an affair bound to occur within this ummah. So how can you then blame Salafiyyah and the Salafis for distinctly specifying the people of [the deviated] sects, people of disagreement and the various partisan groups that are hostile and against the people of Al-Islaam. “O Shaikh! The title of this treatise is not appropriate. The title of this treatise is not appropriate. Because by this approach you are giving the impression that you disapprove [the act of] classifying people. Whereas Allah’s Messenger صلى الله عليه وسلم said that this ummah split into seventy three sects”. I said to him, “If you wish to write on this topic then define it precisely”. I mentioned to him the statement of Ash-Shaatibi in [the book] Al-‘Itisaam and in [books] besides it, about [the need of] defining these matters with precision. For indeed the people of knowledge have clearly stated that there is no objection in naming the people of the [opposing] sects, in pinpointing them out and mentioning their characteristics so that people can be cautioned against their doubts, innovations and [deviated] conditions. Have you not seen the reply of Aishah رضي الله عنها to the woman who asked her whether the [missed] Salaah [for the menstruating] should also be made up for? She [i.e. Aishah] said, “Are you a Haruriyah [i.e. 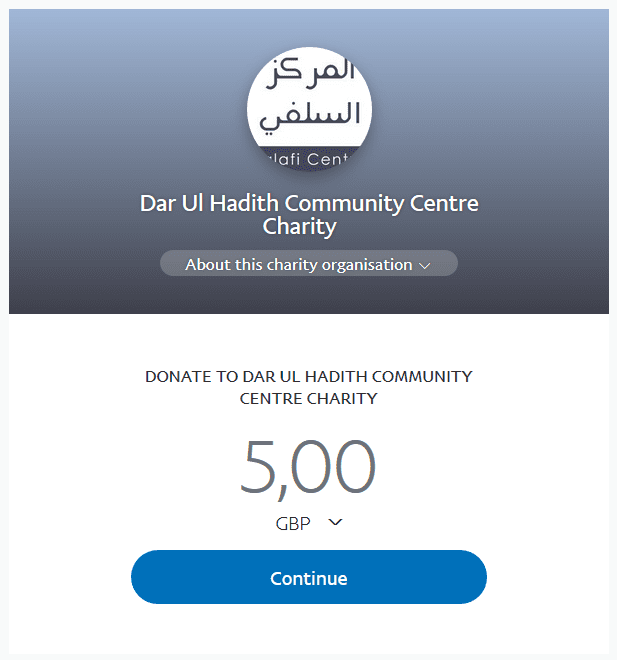 a Kharijite]? So now, does Aishah want to categorize people? Is she now not having mercy upon them by describing them as Haruriyah? When the two Taabi’s came to Ibn ‘Umar in order to ask him about the people of Al-Qadr, they named them to him as the people of Al-Qadr, which Ibn ‘Umar acknowledged and said “inform them that I am free from them”. [They were called] people of Qadr, by that very name. So pinpointing out, naming and describing the people of division and discord is a matter that has come [and thus established]. Therefore, we traverse upon this way and walk upon this path, because it is the path of the believers. We say, that this division and disputation occurring within this ummah; the Messenger صلى الله عليه وسلم had already informed us regarding it. The Messenger named for us some of these sects. For example, he said the Kharijites are the dogs from the people of Hellfire. He named them as the Kharijites. He said that the Qadarites are the fire-worshippers of this ummah. He named them for us as Qadarites. It was the Messenger, not us. The Messenger named the Qadarites. Such is the case with all those that are ascribed to the people of division and disagreement; we name them, describe them and pinpoint them if warning against this innovation and its people cannot be attained except by this. Therefore, there is no harm in regards to this matter. Moreover, it isn’t regarded as a cause of disunity among people. In fact, it is a factor that unites people upon the truth. Do you not see that the book that has been revealed in Islam is called Al-Furqan [The Criterion] because it separates truth from falsehood? Do you not see that the Messenger has been described as one who separates a man from his father, and a man from his brother? This is because he would bring about separation between the people of faith and the people of disbelief. Therefore, we likewise distinguish the people of Sunnah from the people of innovation. We distinguish the people of division and disagreement from the people of unity and agreement. We distinguish between these and those. This is not considered as a form of bringing harm upon people, there is no cause of division in this. There is nothing contained in this except uniting people upon an equal wording, and Allah knows best.